Richard Best established the online store Bestsmodeller.co.uk in January 2015, aimed at anyone with a passion for high quality die-cast and railway model collectibles or people seeking out gifts for collectors. Sourcing only the best and rarest examples of die-cast vehicles, Richard ensures all models he sells are in pristine condition and where possible sealed in their original packaging, ensuring when your model arrives it will be right at home completing your proud collection. 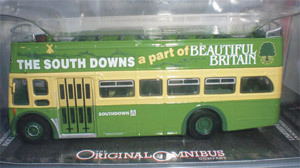 Bestsmodeller stocks an incredibly varied and large number of trams, super haulers and buses from the highly respected and recognised Corgi brand as well a vast amount of models from top brands like Hornby, Scalextrics, Eddie Stobart, Bachmann, Lima and Star Wars. In addition to his online store, Richard loves attending the annual Shoeburyness Model Railway Club at Garons Park, Southend-On-Sea, and on the 17th and 18th of November 2018, he’ll be there showing off his limited edition and specialist models as well as being on-hand to discuss your model needs, or if you share the passion and love that Richard has for model vehicles then come along and say hi, Richard is always welcoming to like-minded collectors. Whether you want to purchase a gift for a friend or loved-one, or expand and complete one of your own personal collections, Richard Best would love to hear from you today, so don’t hesitate to contact him using the details below or head on over and check out his website to see his extensively stocked online store. This entry was posted in Industrial Solutions and tagged Die-Cast, Models, Railway, Transport. Bookmark the permalink.